Many Christchurch residents may be unaware that the Borough contains the last remaining natural geological erupting mineral spring within a public open space in East Dorset. 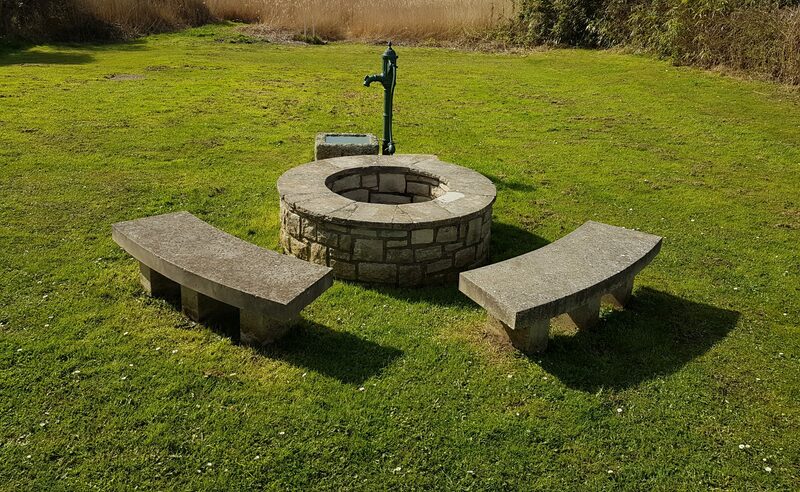 The ancient Tutton’s Well can be found in Stanpit, near the Stanpit Recreation car park. The water of the well was recognised as having unusual purity with medicinal values as it contains a wide range of important minerals. In medieval times it was transported around the country as a cure and known as The Christchurch Elixir. The traditional annual pilgrimage to the Priory included the healing benefits of this spring water from the monks. erecting a notice board to give a historical perspective. The restoration of the Tutton’s Well features is due to the generous patronage of Tom Tutton without whom this valuable local history would be lost to memory. The Friends of Tutton’s Well depend on donations to help with the maintenance of the Tutton’s Well site. If you are able of give a donation, no matter how small, we’d welcome it. Please contact the Treasurer of the Friends. The surrounding green, used by fishermen for drying nets (or landing contraband on its little quay) formed the nucleus of Stanpit village life for centuries. In 1885 the well, pump and green were given to the locals as a public water supply by Sir William Rose to commemorate his parents, the Rt. Hon. Sir George Henry Rose (former MP for Christchurch) and his wife Dame Frances, of Sandhills, Mudeford. The well was capped in 1941; the probable site of the dipping place built over in 2002; this tribute was built in 2004.